Telemecanique LC1D12BD Contactor- Motor Control Application 24 VDC- 25A- 600VAC . New Life Scientific, Inc. 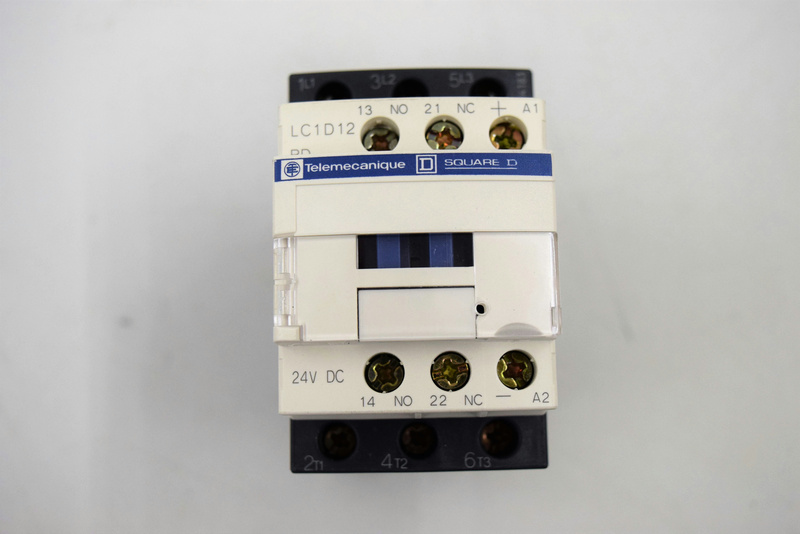 The LC1D12BD is a 3-pole 12A TeSys D non-reversing Contactor for perfect integration in control systems. TeSys D contactor operates with 24VDC coil. It utilizes a low consumption DC coil with built-in transient suppression for operation with a low-level dc signal from a computer or PLC without need for an interposing relay. High-fault short circuit current ratings provide the flexibility to select any component, as long as it meets or exceeds the desired SCCR. TeSys D contactors can be placed on DIN rail mounting.